Normally a slip stitch is made by inserting the hook under both loops at the top of the stitch. This type of slip stitch is tight and has very little height in comparison to other crochet stitches. In Slip Stitch Crochet we make stitches using only one of the loops. Doing this creates stitches that are flexible and have quite a bit of height. Various textures can be created depending on which loop is used and the direction from which the stitch is entered. The first two basic stitches are made as normally done in crochet – by holding the yarn behind the hook and inserting the hook into the stitch from front to back. The second two stitches are called ‘inverse stitches’ because you invert the direction you enter stitch from the normal way of doing it. For inverses stitches you hold the yarn in front of the hook and insert the hook from back to front. Hold yarn behind the hook. Insert the hook under the front loop of the stitch. Yarn over. Draw yarn through both loops on the hook. Hold the yarn in back of the hook. Insert the hook under the back loop of the stitch. Yarn over. Draw yarn through both loops on the hook. Hold the yarn in front of the hook. Going from back to front, insert the hook under the front loop of the stitch. Yarn under – place the yarn under the hook into the hook opening. 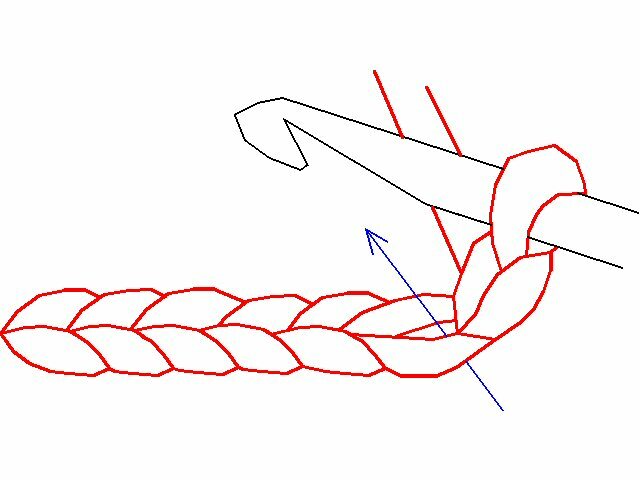 * Draw yarn through both loops on the hook. This stitch looks like B turned around backwards. Hold the yarn in front of the piece. Going from back to front, insert the hook under the back loop of the stitch. Yarn under – place the yarn under the hook into the hook opening. * Draw yarn through both loops on the hook. This stitch looks like F turned around backwards. 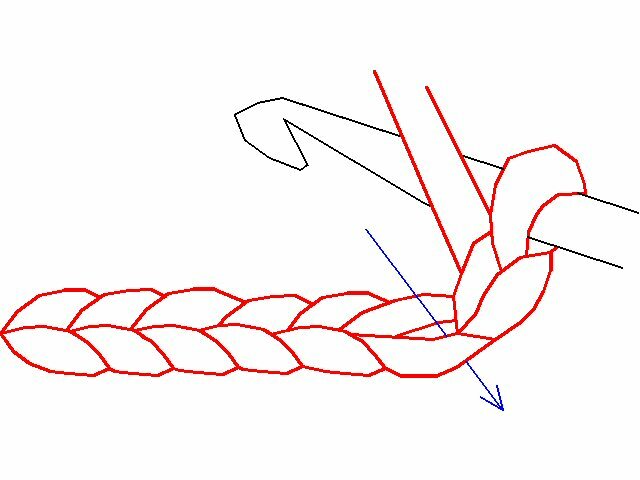 S (slip stitch) – Hold yarn behind the hook. Insert the hook into the stitch. Yarn over. Draw yarn through both loops on the hook. iS (inverse slip stitch) – Hold yarn in front of the hook. Insert the hook into the stitch. Yarn under – place the yarn under the hook into the hook opening. * Draw yarn through both loops on the hook. * You can also do a yarnover or yarn over backwards. Each way of placing the yarn in the hook gives the stitch a slightly different look.